Looking to start a weight loss journey or maybe just need to add some healthier meal options into your everyday routine? 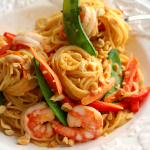 These 15 simple, easy and fresh recipes are just as satisfying as they are delicious! Great for jump-starting your healthy New Years resolutions, too! We all typically have good intentions to eat healthier and make more mindful food choices. However, sometimes when we don’t set ourselves up for success, if often becomes overwhelming to know exactly what to eat. 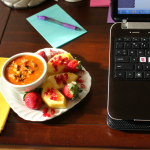 What if I told you that having these simple recipe ideas at your fingertips could help you prepare for every meal of the day, giving you more control to make healthier food choices? Having these healthy, easy and delicious options will help you feel satisfied and in control all the while still enjoying amazing flavor with every bite! Clear out your spaces. Clean out your refrigerator, pantry and shelves of all the unhealthy stuff, or foods that may trigger you to overeat. Replace with fresh fruits, veggies and ingredients for the recipes listed here. Having these foods front and center will help make choices much easier when it is time. Prepare ahead when you can. Several of the recipes below can be made ahead of time. Not only does this help when you are in a time crunch (busy mornings are the worst! ), but when your meals are already made, the food choice is already made for you, thus setting yourself up for success! Get yourself a cool new water bottle. I know, I know. We’ve heard it a million times! (I’m probably the worst at this too!) Making sure we are adequately hydrated is a great way to beat those hunger pangs. Often times we think we are hungry when actually our body is really just thirsty. Make sure that water bottle is filled and take it with you wherever you go. It’s simple, but very effective! 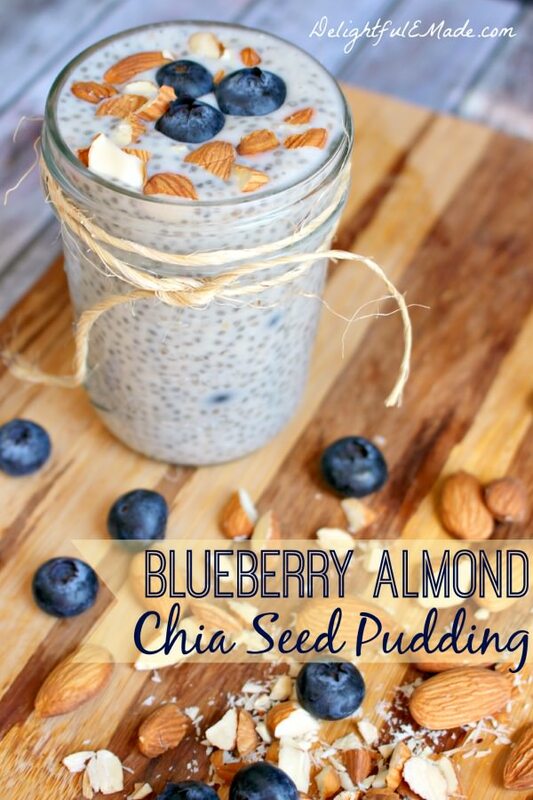 This Blueberry Almond Chia Seed Pudding is my most popular breakfast recipe on my site – and for good reason – it tastes amazing! Not only is it healthy, and packed with protein, this easy breakfast option is prepped the night before. So once you wake up in the morning, it is ready to be enjoyed. Perfect for busy mornings! 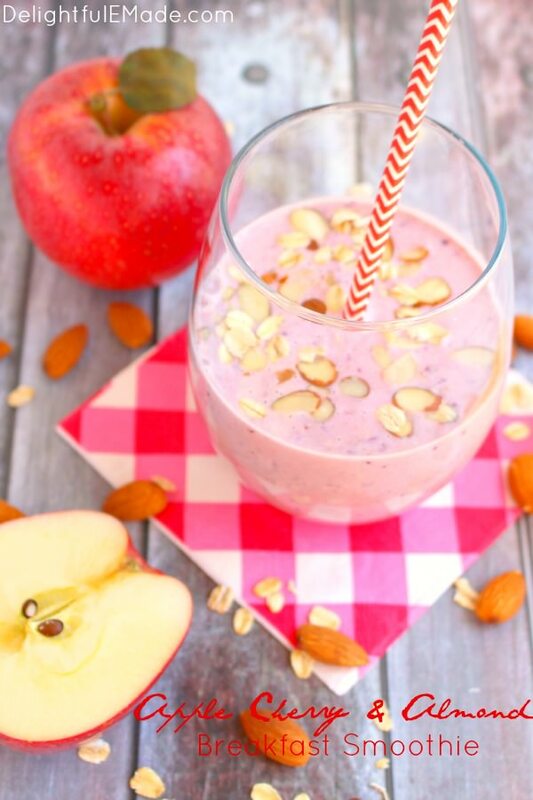 My Apple Cherry & Almond Breakfast Smoothie is a flavor-packed breakfast that is loaded with fiber and protein to keep you fuller, longer. This super-simple breakfast smoothie takes less that 5 minutes to make, so it’s perfect to add a straw and take with you on your way to work. This smoothie also makes for a fantastic post-workout snack. 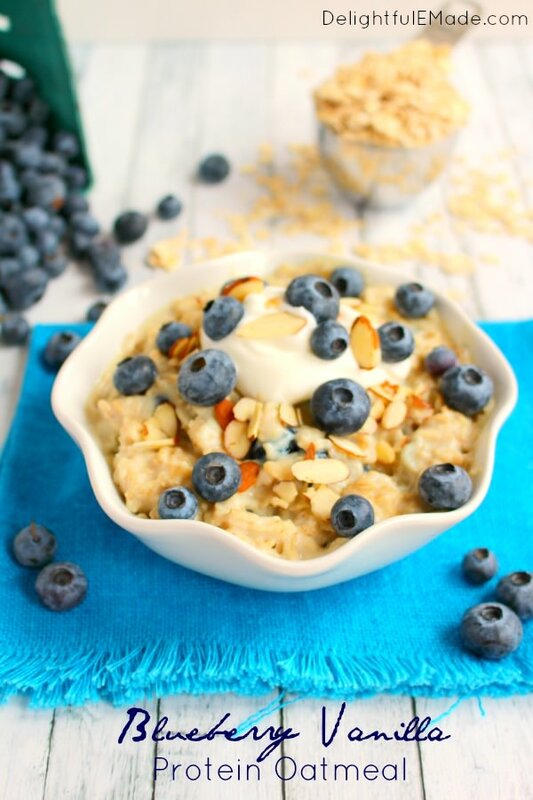 If you love a warm, comforting breakfast look no further than this Blueberry Vanilla Protein Oatmeal. Made with Greek Yogurt, almonds and the addition of protein powder, this breakfast both filling and nutritious! Fresh blueberries take this simple breakfast to be even more flavorful and delicious! As you can see, you can never go wrong with berries, almonds and yogurt for breakfast! 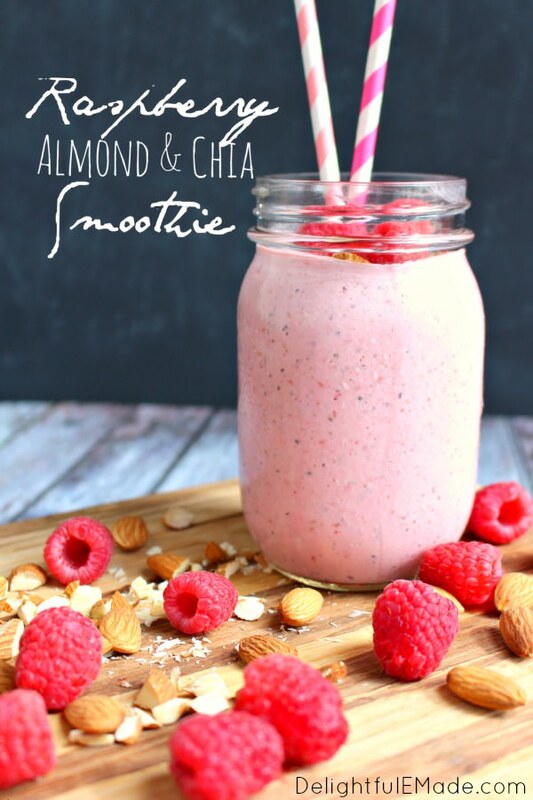 This Raspberry Almond Chia Smoothie, you’ve got all of these amazing power foods in one glorious smoothie! Loaded with protein, and packed with flavor, this delicious breakfast smoothie is perfect for blending up on a busy morning just before headed out the door. 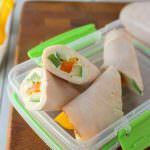 These Tuna & Apple Sammies are a fantastic lunchtime option. Apple slices take the place of bread, while adding a delicious crunch, and complimentary flavor to a lighter tuna salad. 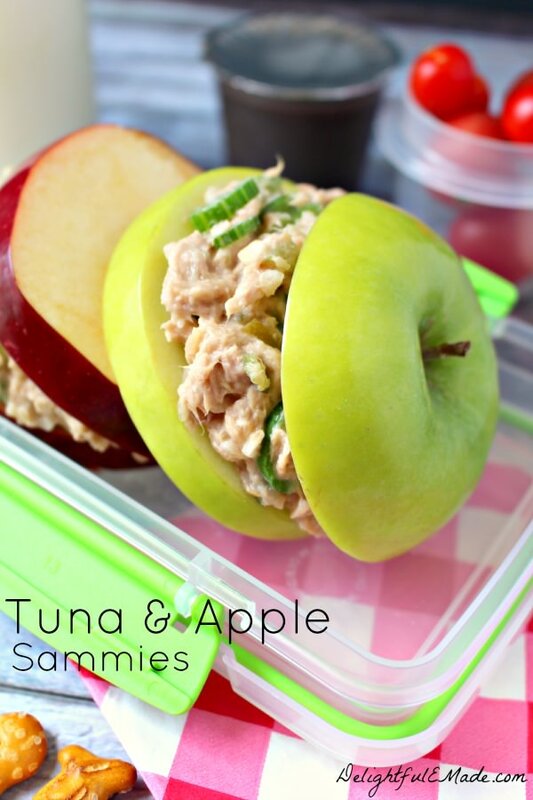 If you’ve never tried tuna on apples, you’re definitely missing out! This combination is out-of-this-world fantastic, and you’ll never know it’s healthy! My Honey Crisp Apple & Sweet Kale Salad is a fantastic make-ahead lunch solution, especially if you bring your lunch to work. 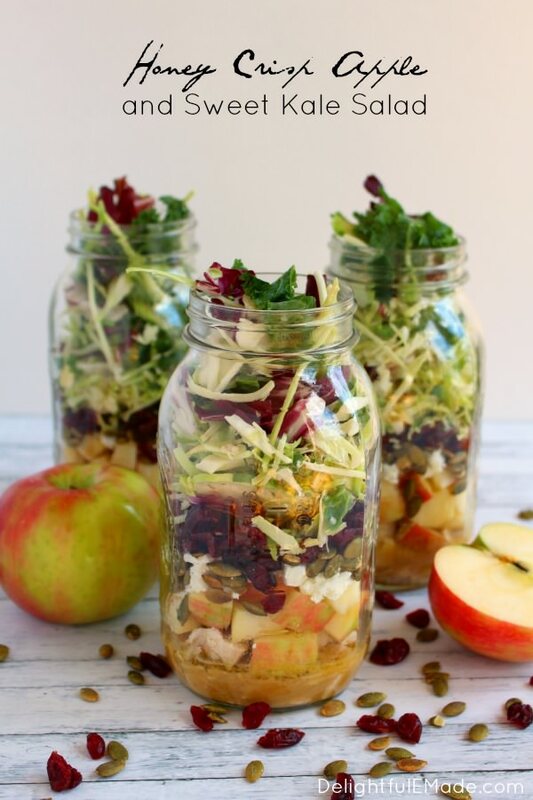 Having a pre-made lunch like these convenient salads-in-a-jar not only help you save money by not eating out at lunchtime, but also help you save calories. This delicious salad is great for making 2-3 on the weekend, and packing for lunch during the work-week. Made with just a few simple ingredients, and layered to keep fresh, this salad tastes just as amazing as it looks! 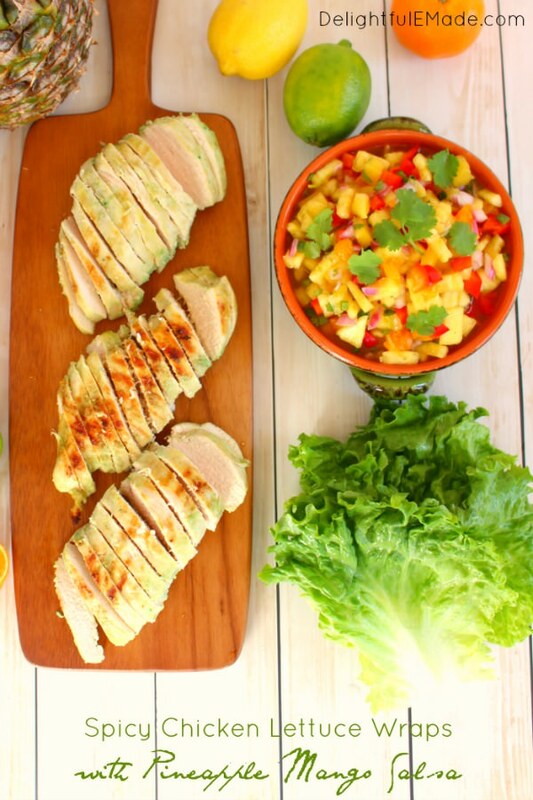 These Spicy Chicken Lettuce Wraps with Pineapple Mango Salsa are are great way to cut the carbs, and load up on flavor! These are also another great option if you bring your lunch to work – packing the lettuce leaves along with the sliced chicken and salsa will have you looking forward to lunch every day! 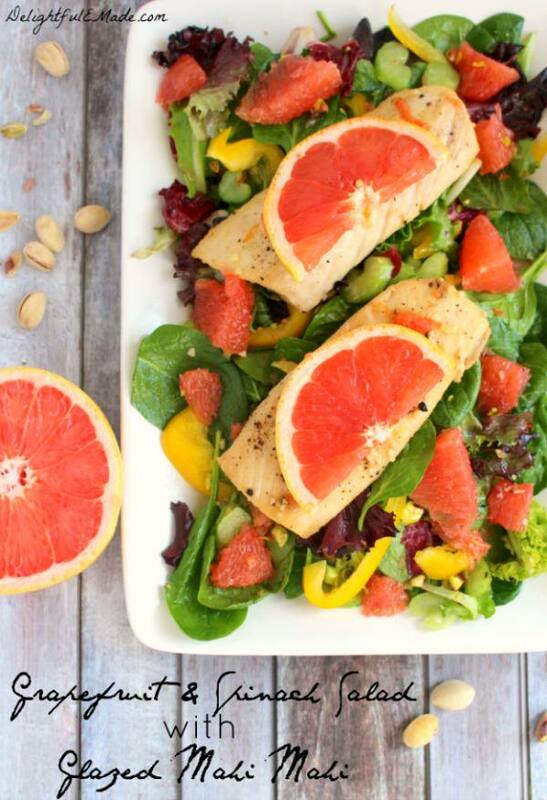 Add some amazing color and flavor to your day with this gorgeous Grapefruit & Spinach Salad with Glazed Mahi Mahi! 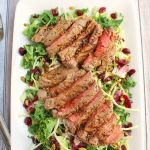 This can be easily made for lunch or a light dinner, this flavorful entree salad is light on calories but loaded with flavor and crunch. The Mahi Mahi is very lean and high in protein, and along with the spinach and grapefruit, this salad is a wonderfully nutrition meal option. 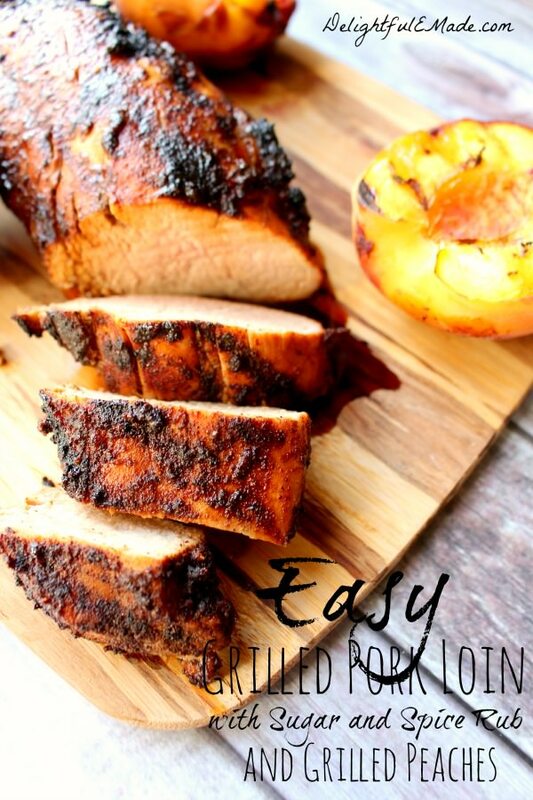 Forget the rice or potatoes, this Easy Grilled Pork Loin with Sugar and Spice Rub and Grilled Peaches has it ALL! Pork loin is a wonderfully lean, and economical cut of meat, and perfect for grilling up any night of the week. The spicy sweet rub can be added right before putting on the grill, making this healthy and delicious meal, quick and easy as well. 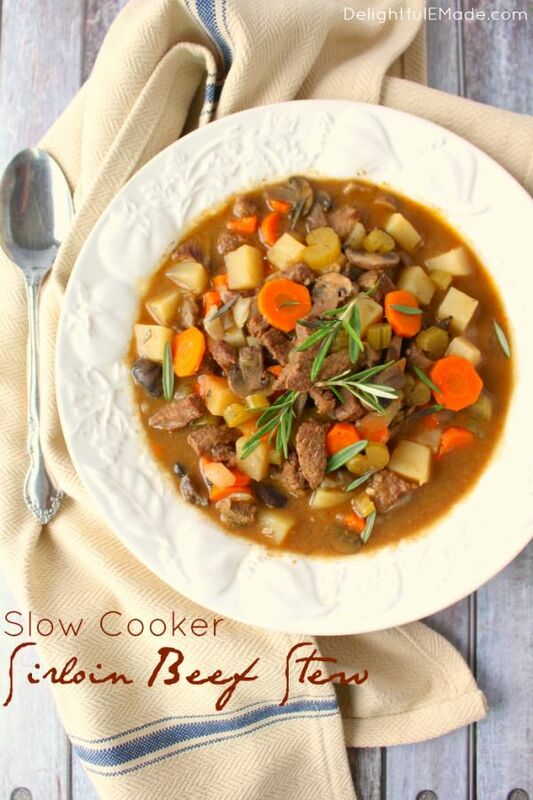 This warm, comforting Slow Cooker Sirloin Beef Stew is an amazing dinner solution. The lean sirloin, paired with the chunky vegetables are simmered in the slow cooker, rendering an amazingly hearty and delicious stew! This soup is even better when heated the next day as leftovers, should you need another lunch option. When trying to eat healthy, salmon is always a fantastic choice! 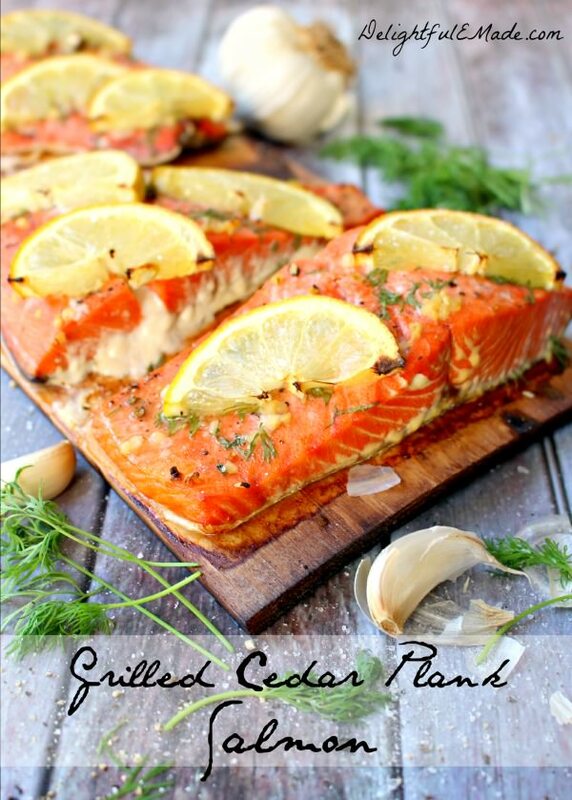 My Grilled Cedar Plank Salmon is a wonderfully simple way to prepare salmon that infuses amazing flavor from the cedar plank that it’s grilled upon. Topped with just a few basic ingredients, this salmon is easy enough for a weeknight, and fancy enough for company! 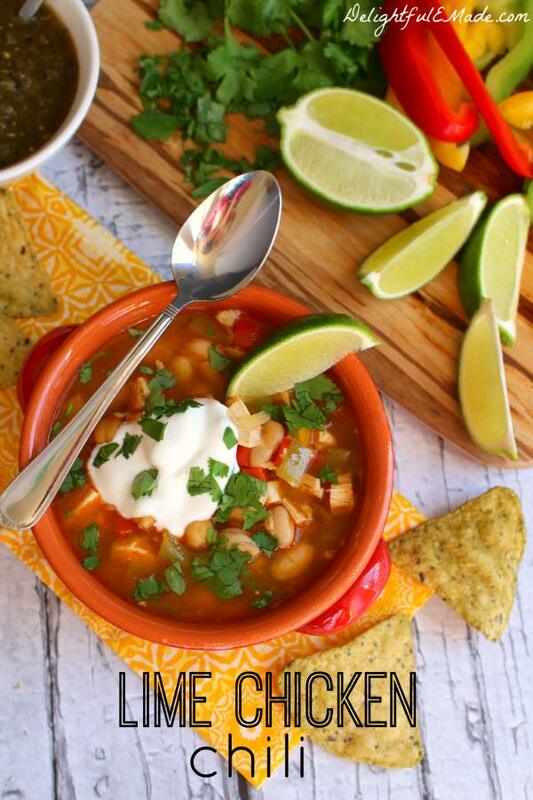 Hearty, savory and perfect for when you’re craving a delicious soup, this Lime Chicken Chili makes a fantastic dinnertime solution. Loaded with peppers, beans and lean chicken, this chili recipe is also a great game-day solution that’s on the lighter side. 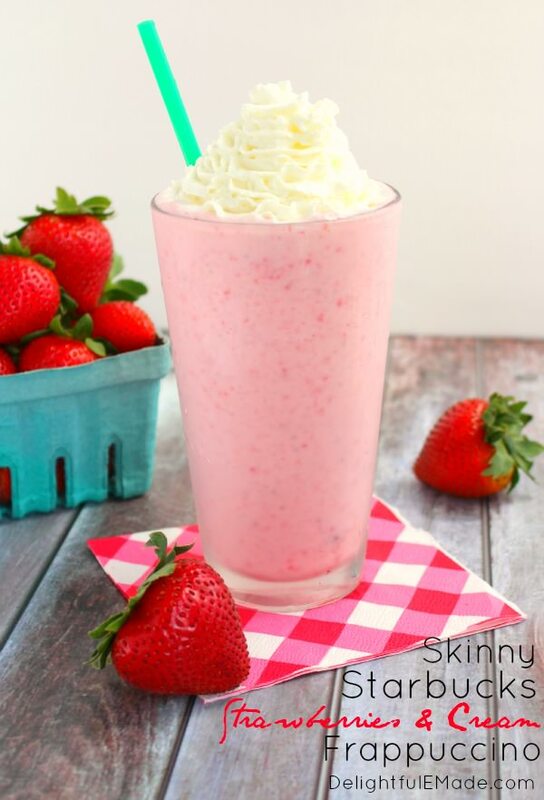 If you love a yummy Starbucks frappuccino, but don’t want all of the sugar and fat that come with it, then you’ve got try my Skinny Strawberries & Cream Frappuccino. Made with yogurt, along with fresh strawberries (no sugary, artificial syrups here!) you still get all of the creamy, delicious flavor without all of the calories! 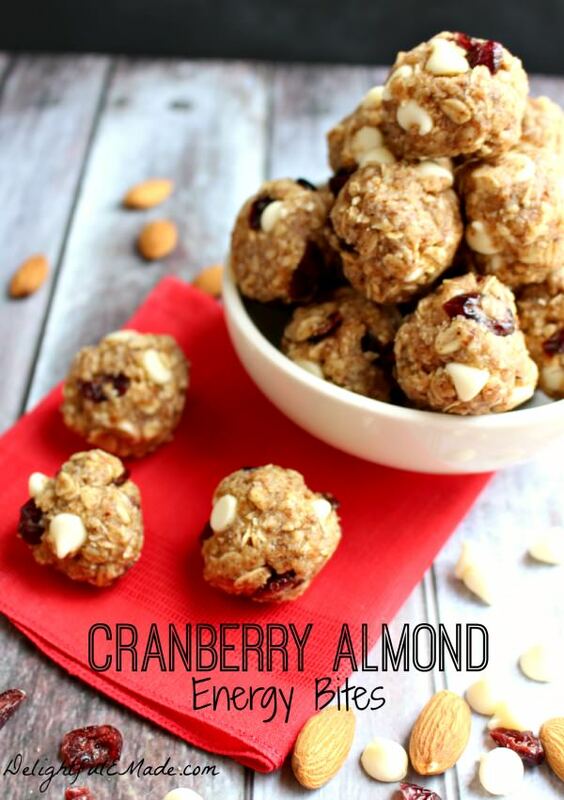 If you’re craving oatmeal cookies, but don’t want all of the calories that come with, these Cranberry Almond Energy Bites are a great alternative. Made with oatmeal, almond butter and dried cranberries, these have no refined sugars, flour or eggs, making them a great snack option. Make a big batch, place in snack-sized bags, and freeze for a quick, on-the-go snack. If you like Pina Colada’s and getting caught in the rain (sorry, couldn’t resist!) 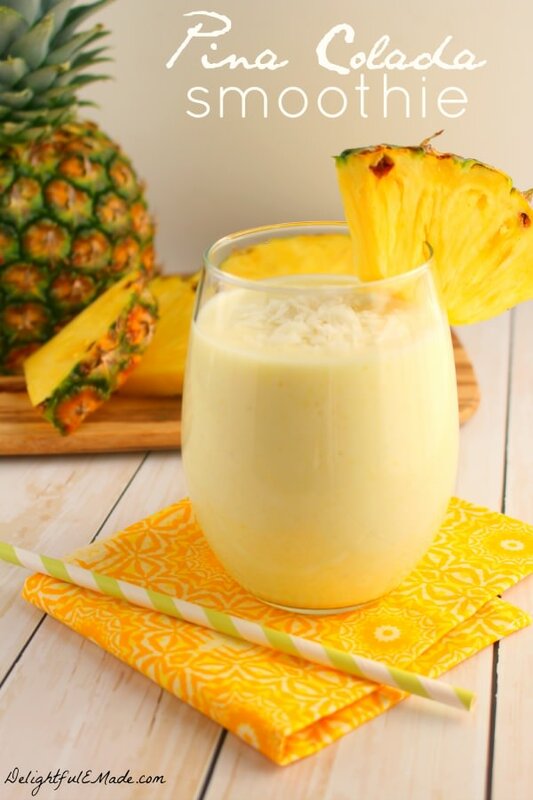 then you’re gonna love this Pina Colada Smoothie! A skinny version of the classic cocktail, this has MUCH less sugar and calories than it’s boozy counterpart. Made with fresh pineapple, and a few other goodies, this smoothie makes a great snack or even a post work-out refueling drink. 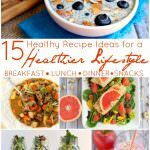 I hope these healthy recipe ideas have inspired you to move to a healthier lifestyle. Given all of the recipes above, you’ll quickly discover that you don’t have to sacrifice flavor to make more mindful, healthy meal choices! 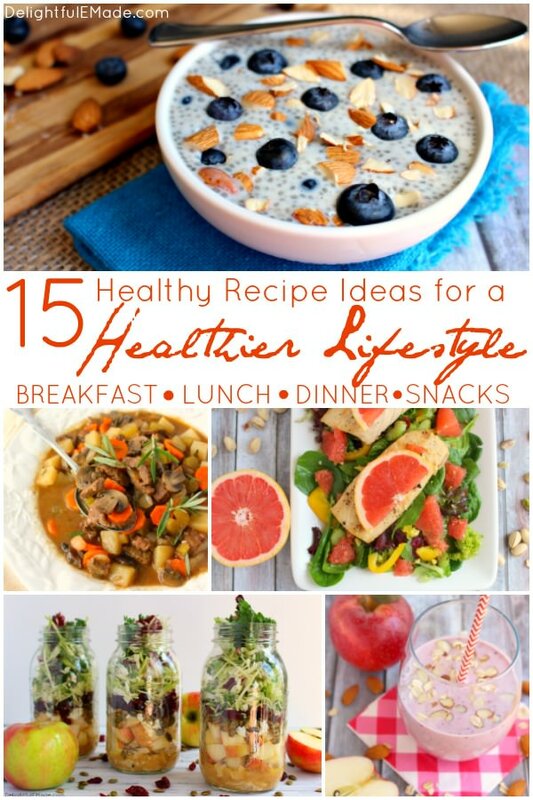 Some really good recipes here - and those are some BIG blueberries! 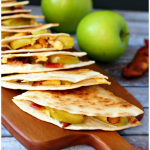 Thanks for sharing on the What's for Dinner Link up! Great tips and recipes here! 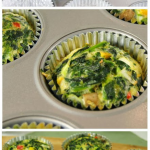 Perfect for healthier eating! Thanks for sharing at Funtastic Friday!